Real-Time Reactions: More impulsive, informal writing than you'll find below. 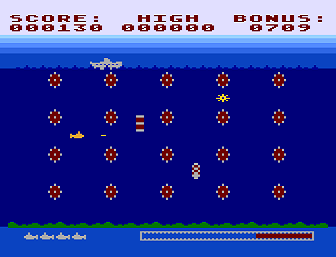 Elements of this Commodore 64 game set it apart from any other forced-scrolling shoot-'em-up that you've ever played. This highly original Atari coin-op boasts greater longevity than any other real-time puzzle game. You don't agree? You'll dig this article anyway. It's written really well. 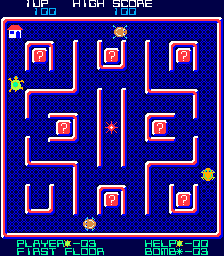 Covered fourth in the series called "Games That You Should Try Again," Jeff Lorenz's Atari 2600 maze shoot-out is loaded with unexpected intricacies. The arcade game Turtles is featured third in the series of articles called "Games That You Should Try Again." Jim Butler's superb Odyssey2 conversion is also covered. Here's another fun arcade game that's even more fun on the ColecoVision. The main character's really into zippers, but not in a disturbing way, in spite of his unstable personality. 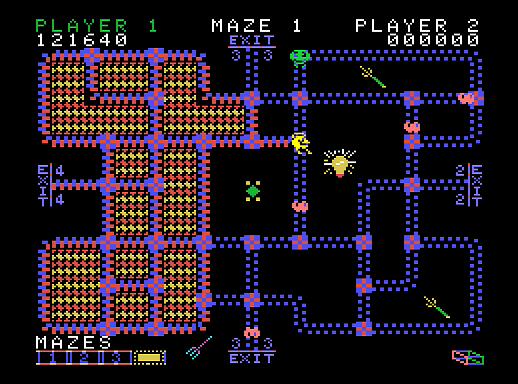 The incredible Berzerk sequel is even better on the ColecoVision than in the arcade. Calm down! We wouldn't make such a claim without offering some great arguments, would we? You've probably never played this Commodore 64 game, but you should have. There's no time like the present. Actually, there's no time but the present, so that's a goofy expression. Just read this and learn about yet another awesome game that's not covered on any other website! The Atari 2600 game Demons to Diamonds is featured second in the series of articles called "Games That You Should Try Again." Nick Turner created much more than another simple shoot-'em-upward. The Sega arcade game Up'n Down is featured first in a series of articles called "Games That You Should Try Again." Give this one another chance! 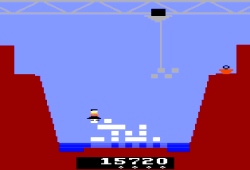 The Activision game Frostbite is programmer Steve Cartwright's Atari 2600 masterpiece. This is another installment of "Who Needs Manuals?". 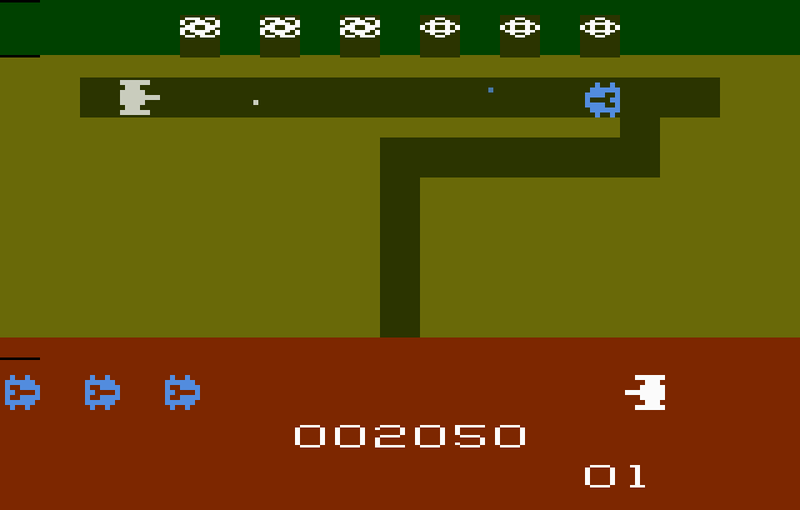 Featured this time is the Atari 2600 game Gas Hog. The article's two sections were respectively written before and after consulting the manual. The results of such experiments tend to be quite amusing. In 1985, Ward Shrake wrote a utility called Telengod to hack the character attributes in Avalon Hill's Commodore 64 RPG Telengard. He's written this article to explain why and how he did it. An archived version of his program is included. The Axlon / Atari prototype Save Mary! is programmer Tod Frye's true 2600 achievement. 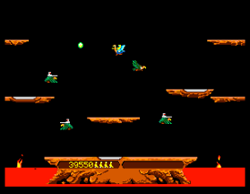 The 1982 arcade game Joust is one of the most exciting, inventive Williams releases. Read about the game's history, some effective strategic maneuvers and the disturbing science behind buzzards that lay human eggs. 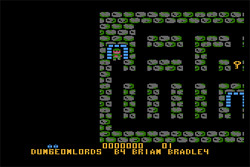 This is an article about DungeonLords, created by Brian Douglas Bradley for Atari's eight-bit computers. The game was written in 1986, but it wasn't released until ANALOG Computing published it in December, 1988. Adam has completely updated "Changing Atari VCS Graphics -- The Easy Way," a tutorial that first appeared in the April, 1999 issue of OC&GS. It explains two easy methods that may be used to change the graphics in any Atari 2600 (aka Atari VCS) game. 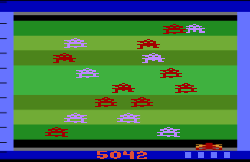 A step-by-step example is provided, along with details about how to change the graphics in Space Invaders. No programming experience is required to follow these instructions. Three articles from the 1990s have been added. The first explains the creation of an Atari 2600 cartridge called Tear-Jerker 2000. 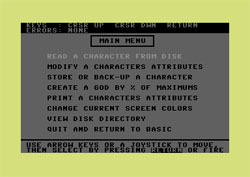 Links to the ROM and the 6502 assembly source code are also included. This article, written in the late nineties, serves as an introduction to PD in general. 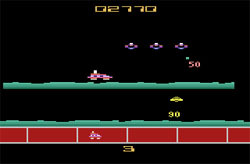 The references to particular games go some way toward explaining how "classic gamers" felt about the overall gaming situation at the time. The following paper was written for a Special Problems class at the Albuquerque Technical Vocational Institute. There were only three students; we worked together to write a computer game. This second part of the "Top Ten" list was started in December of 1997 but never finished. It's presented now for the first time. These three Amiga articles were published in 1999. They had been written for two different issues of MAUS Dropping, the newsletter of the New Mexico Amiga Users' Society (NewMAUS). We've added other articles from the late nineties as well. While two or three were published in lesser forms, most have never been seen before. There are easily enough articles here to make up one or two entire 1990s-era paper issues of OC&GS. Added an article about the book Tron and Robotron: Thirty Years of Electronic Gaming (and Counting) by Jeff Spega. 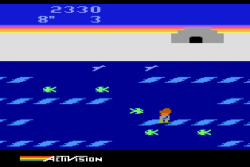 Added an article about Imagic's Wing War for the Atari 2600 and Colecovision. The following games are the first to be featured in a new column called "Who Needs Manuals?". We begin writing each of these articles without having referred to the instructions. Each game is played a second time when the manual has finally been read; the article is then completed. The results from both before and after can be quite amusing. This is a text adventure written by Chris Federico that will run on any computer that can run the Frotz interpreter. A version of the latter for Windows (called WinFrotz) is included along with Fork itself. Note that on a faster PC, there's a slim chance that some of the text might be invisible. This is easy to prevent. Once you've opened WinFrotz, go to View -> Display Options, then set the Screen Update to Very Frequent. Get a taste of Fork, The Great Underground Dining Room by playing it online here. 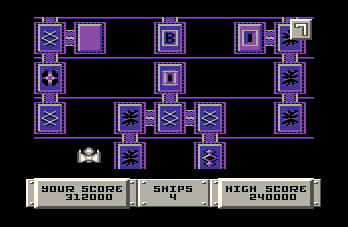 This version runs great, but the disadvantage is that you can't save your progress. The ideal way to play Fork is by downloading it and playing it on your computer. This is a collection of original Commodore 64 games by Chris Federico. Descriptions are included. 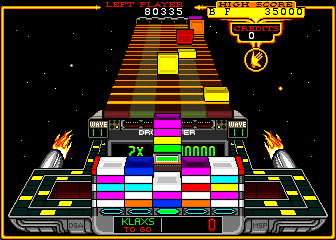 The games were developed in a graphics / sound utility called Garry Kitchen's GameMaker. In this interview with Bill Kunkel, called "A Lifetime to Master," Bill answers questions about video games, the pioneering of a journalistic field, and the contemporary (circa 2002) game-coverage climate in an exclusive OC&GS interview.